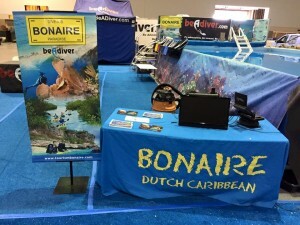 As the title sponsor for DEMA’s largest and most recognized diver acquisition and awareness program, the Be A Diver Pool, Bonaire has made a big impact at all of the consumer shows where the Pool has excited. The Be A Diver Pool introduces people to the sport of scuba diving, giving them the opportunity to try the sport on-site, and also learn why Bonaire is one of the top destinations in the Caribbean for Scuba diving. The tour started off the year making stops at the Progressive Boat and Sportshows in Nashville, TN; Chicago, IL; and Kansas City, MO; and the Travel & Adventure Shows in San Diego, CA; Los Angeles, CA; and Philadelphia, PA. The Pool garnered over 950,000 view impressions worth more than $97,000. 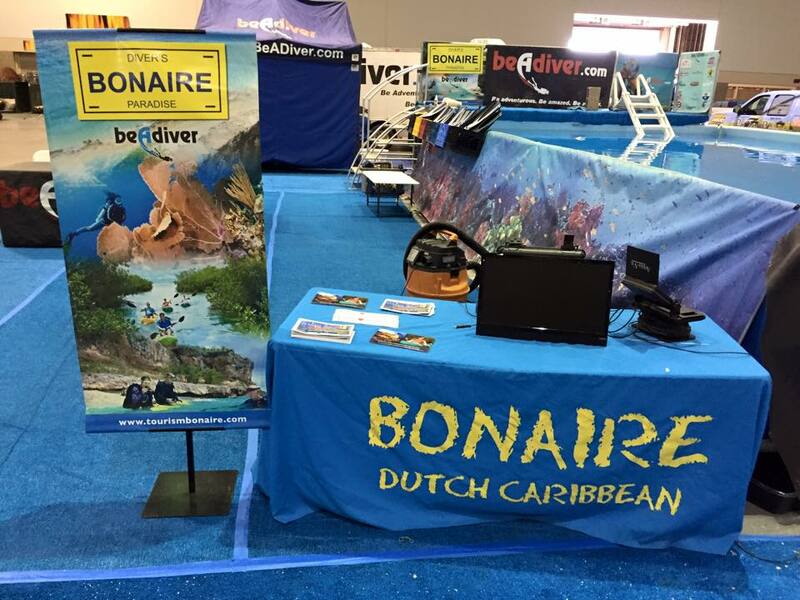 For all of the Shows, Bonaire’s logo was prominently displayed on air during the weekends’ news coverage of the Be A Diver Pool on WRTV-FOX, WTVF-Nashville News, KSHB-NBC, KSWB-FOX, KNSD-NBC, KUSI San Diego News, KGTV-ABC, XETV-CW and FOX 29 News Philadelphia. In addition to Bonaire’s branding and signage garnering exposure during the news segments, Bonaire was mentioned as one of the top scuba diving destinations in the world. Be sure to follow BonaireTourism’s YouTube channel to watch news coverage videos of the Be A Diver Pool.